The Rottmayr grammar school (scientific branch and languages) is situated in Laufen near the border river Salzach. Due to the position in rural areas most of the students are from surrounding communities dispersed across two counties. There is only little industry and commerce in Laufen, the infrastructure of which is closely interconnected to the city of Salzburg. In the two branches provided three modern languages, English, French and Spanish, are taught. There is a close partnership with a local external partner, the ANL, a state run academy for environmental protection and landscape development. Within the framework of the subject substantial topics are to be elaborated in cooperation with the ANL. The surrounding agrarian landscapes, rural communities and the urban environment of Salzburg, with their different social and demographic background offer a wide range of possibilities for investigations and pupil based project work. This provides for a comparable approach of all the European partners. 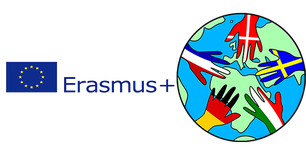 In the meantime, this Erasmus+ school partnership is the third European school partnership since 2011.